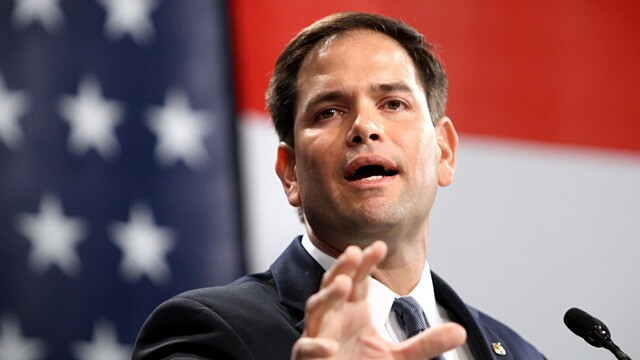 Rubio nails it with his tax plan….pretty much. Presidential candidate tax plans are much like a presidential budget, a pie in the sky wish-list that rarely reflects reality. But it is a statement of purpose and ideals. Budgets and tax plans are always trade-offs between competing things. Money is a zero sum game. Thus, voters rightfully will judge where a candidate stands with these trade-offs. Rubio unveils a tax plan that just a bit of a sister souljah moment to the supply siders. Middle class focus. Rubio plans to campaign hard on the complex plan he introduced this year with Utah Sen. Mike Lee that would use the tax code to reward families with children while slashing levies on business and investment income but keeping a top rate personal income rate of 35 percent, far higher than many Republicans would like. This ideological nonsense from the WSJ is an excellent example of outdated GOP tax policy that has them stuck in the past. The WSJ is literally arguing that tax cuts/credits to the middle class are “redistribution” of money that is to be attacked. Only large tax cuts to the wealthy are to be championed. Is it any wonder why GOP candidates who follow party orthodoxy on taxes get destroyed in the general election? Imagine that’s the WSJ’s reaction when other critics tear his plan apart for being more of the same big cuts for the wealthy. For most middle-class Americans, capital gains don’t even register as a share of income. (That may be why Romney never got much traction with his plan to eliminate those taxes for people who earn up to $200,000 a year.) For Americans earning more than $500,000 a year, capital gains are a significant source of income. For those making more than $5 million, they’re almost a majority of income. I agree with the WaPo. Go bolder Rubio. Start with a tax credit that is aimed at start-up businesses, aim for the millennial with that message. Address student loan debit in your tax reform (the limits on the deduction are absurd). Talk about lowering payroll taxes where people see more money in their actual check. Let the rest of the field continue with their delusional flat tax and insane rate cuts for the top. Rubio has a lot of work to do, but this was a very good step today. Keep it up.